Horner syndrome is a constellation of findings with notable features of ipsilateral ptosis, miosis, and anhydrosis. 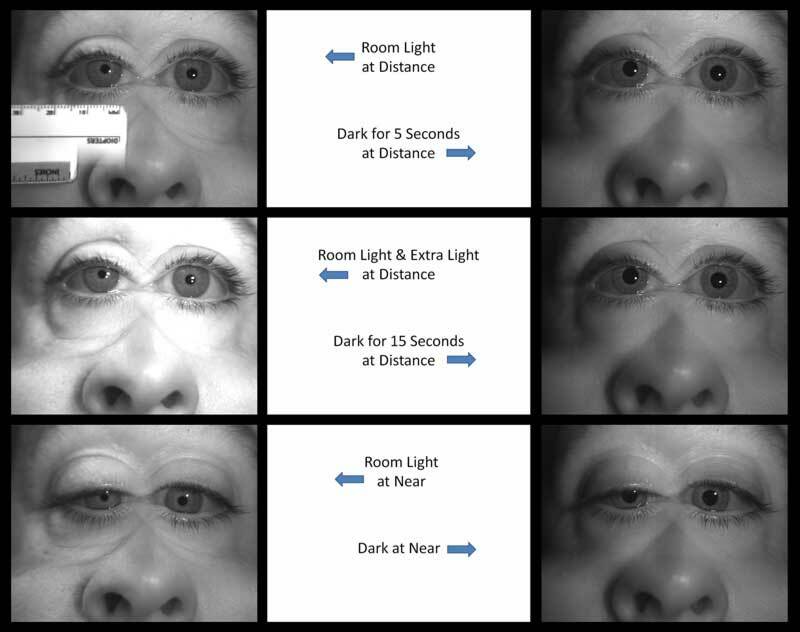 The anisocoria is typically larger in dimly lit conditions. To confirm the diagnosis with pharmacological testing, the first step is to use apraclonidine 0.5% or cocaine eye drops in both eyes. First we obtain baseline photos in dim light. 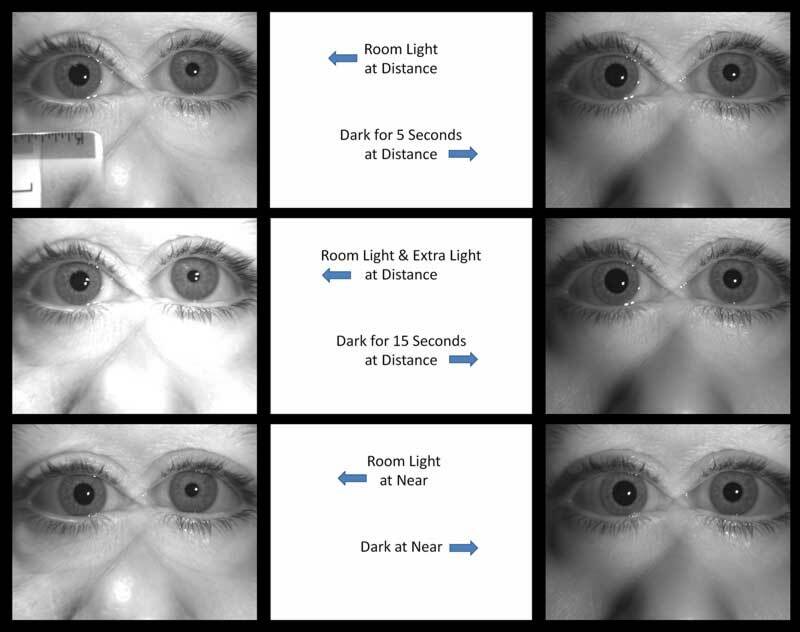 Next, one drop of apraclonidine is placed in each eye and the patient is then reexamined 30-45 minutes later and repeat photos are obtained under the same lighting conditions. The diagnosis of Horner syndrome is supported when there is reversal of the anisocoria as seen in these photos. This is the result the alpha-2 agonist effect of apraclonidine on the normal pupil and the dominant alpha-1 effect from adrenergic receptor supersensitivity in the Horner pupil, which takes 2 to 5 days to develop. The ptosis is also reversed with apraclonidine and this effect is seen within 5 minutes of administering the apraclonidine drops, owing to the rapid penetration through the conjunctiva to gain access to Mueller's muscle. The next step of our testing algorithm, if the apraclonidine test is positive, is to perform localization to the preganglionic or postganglionic location by testing with hydroxyamphetamine 1%. For further discussion of Horner syndrome please see Horner's Syndrome (due to Cluster Headache): 46-year-old male presenting with HA and ptosis. Available from: http://www.EyeRounds.org/cases/case22.htm.